Documentation and guides that will help you get started. Can I use my existing Android device? Can I use my iPhone/iPad? Can I use my computer instead of a smartphone or tablet? Will it work on my old car? All petrol cars sold in Europe since January 2001 are supported. Diesel cars since 2004 are supported. 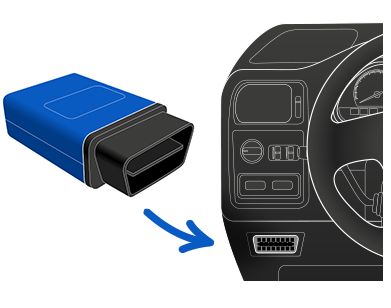 Some cars from 1996 and later will have the OBD-port and may work, but we can`t guarantee functionality. To pair the interface with your phone, use the pin code: 0000. Some Sony phones (Xperia P, Go and Sola) have, after updating to Android 4, trouble pairing with Bluetooth devices. Contact Sony for help. If the guides and FAQ above aren`t enough to help you solve your problem, don`t hesitate to contact us directly!